Stitch can replicate data from all your sources (including Mailjet) to a central warehouse. From there, it's easy to use Qlik to perform the in-depth analysis you need. Integrate Mailjet and Qlik to turn your data into actionable insights. Mailjet is an all-in-one email services provider. Stitch offers detailed documentation on how to sync all your Mailjet data today. 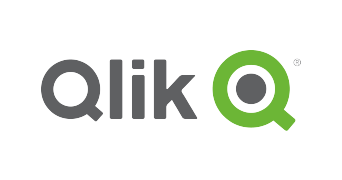 Qlik has a variety of powerful tools for data, including Qlik View and Qlik Sense. With Qlik Sense, you can analyze data and make data discoveries on your own. You can share knowledge and analyze data in groups and across organizations. Stitch makes it easy to get data into Qlik. Quickly connect your Mailjet account to Stitch, choose your data, and replicate on a schedule you define. Stitch delivers your data to the analytics warehouse of your choice. Don't have a warehouse yet? No problem. Stitch can provision one for you. In most cases, it's simply a matter of providing access credentials. Stitch helps you focus on analysis, not data consolidation. We've opened the doors to insights we couldn't easily surface before.